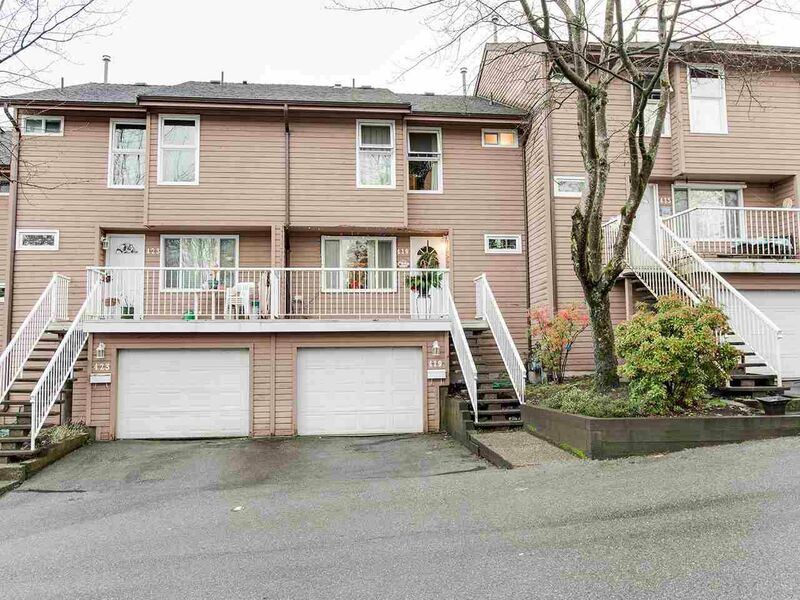 This fantastic family complex in the heart of Port Moody and is perfect for a growing family or a great investment unit. You will love the big bright windows, private fenced yard for relaxing or a dip in the OD pool. With 3 spacious bdrms up and a partly finished rec room down you can add your own personal touch . Recent updates include windows, HW tank, fresh paint inside, balcony's & stairs, outer paint & Hardy board. You are centrally located to transit, skytrain, Rocky Point park, schools, restaurants & shopping, Eagle Ridge Hospital and the famous Brewery Row. This is a great unit and worth putting on your list.